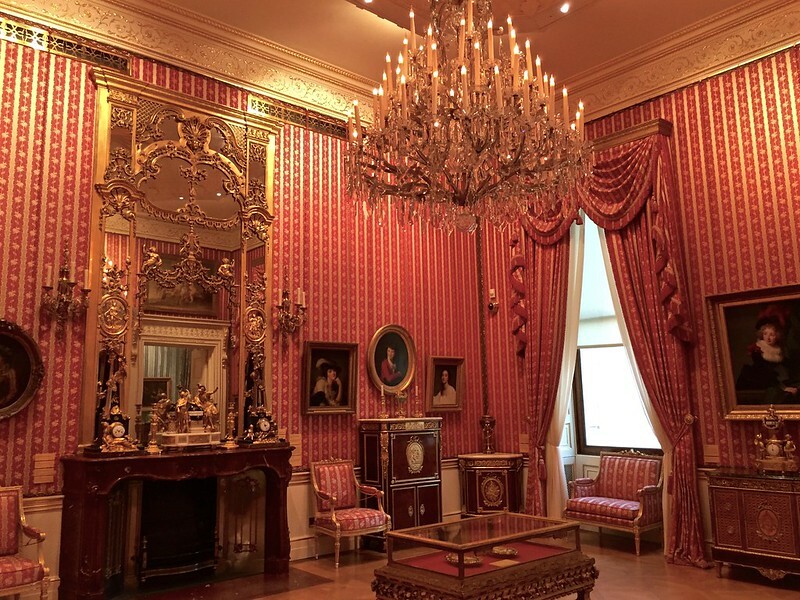 A lot of Londoners have a soft spot for the Wallace Collection. It’s just round the back of Oxford St and it’s free, so you can pop in for a browse any time you like. 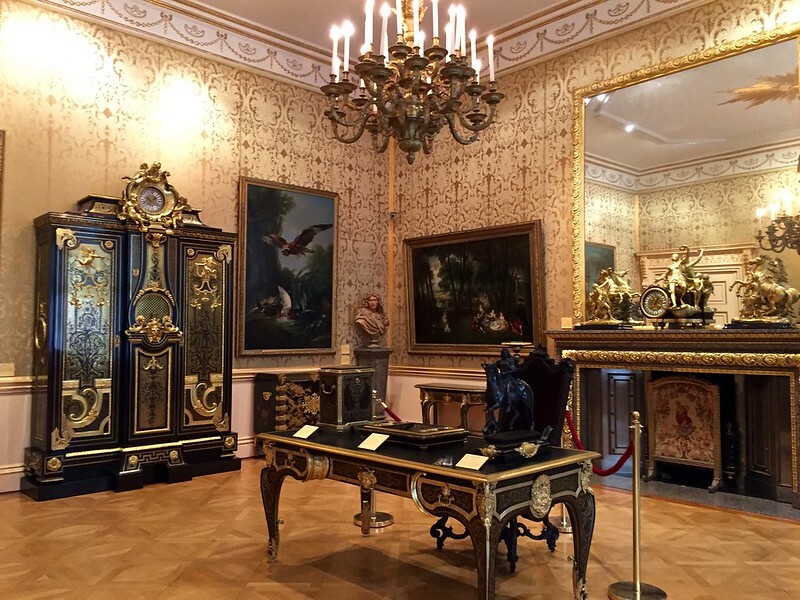 And it’s quite spectacular, filled with French eighteenth century painting, furniture and porcelain with famous Old Master paintings and, the icing on the cake, a world class armoury. So how does it come to be there? 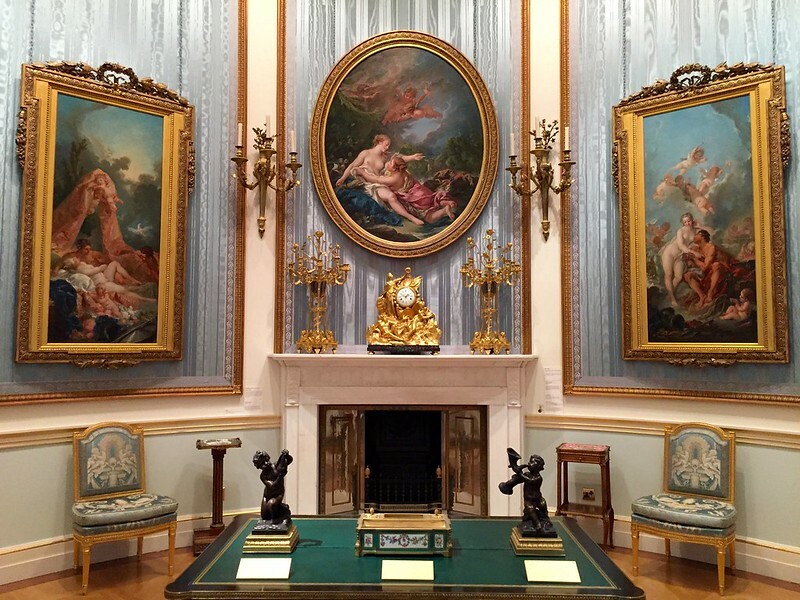 The works in the Wallace Collection were collected in the eighteenth and nineteenth centuries by the first four Marquesses of Hertford and Sir Richard Wallace, the illegitimate son of the fourth Marquess. They were bequeathed to the British nation by Sir Richard’s widow, Lady Wallace, in 1897. 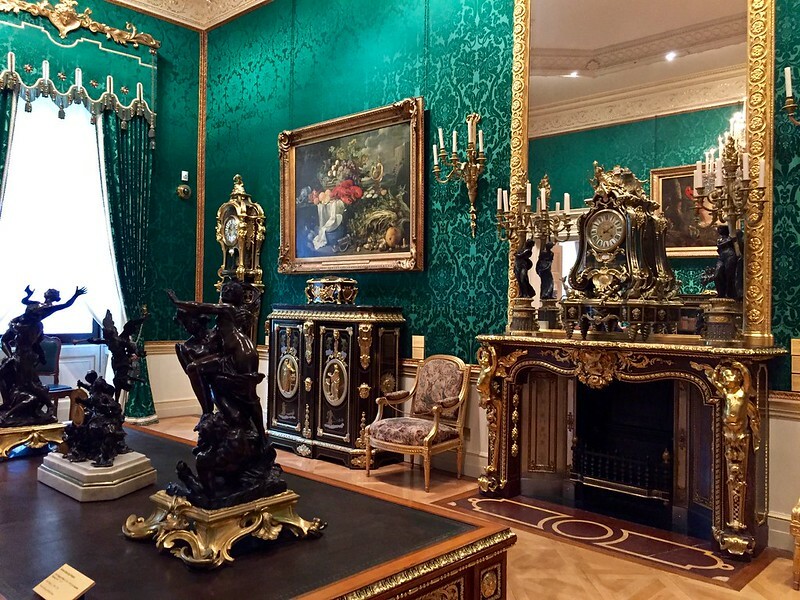 By the terms of the bequest the Wallace Collection is a closed collection, which means nothing can be added and nothing taken away. 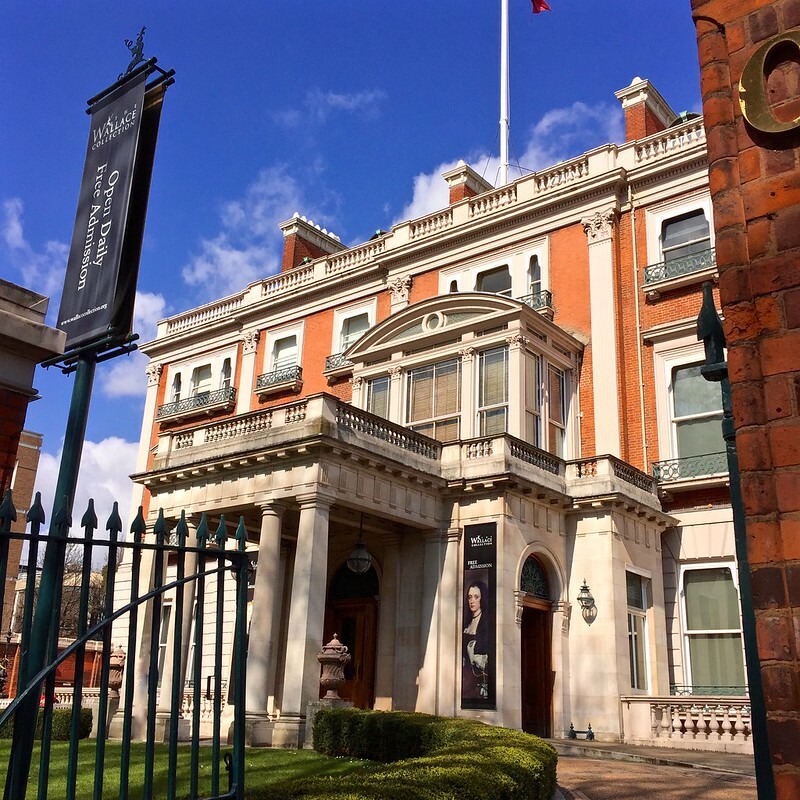 It’s housed in Hertford House, in Manchester Square, built in the late 1700s for the fourth Duke of Manchester and acquired in 1797 by the second Marquess of Hertford. 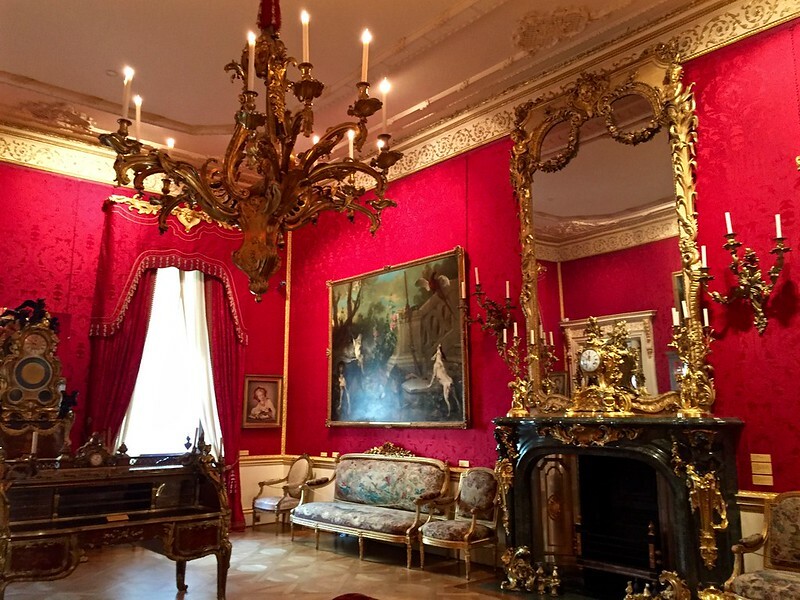 From 1836 to 1851 the house was let as the French Embassy while the fourth Marquess was living in Paris and acquiring works of art. The Paris Commune of 1871 led to Richard Wallace moving back to London, bringing most of his art collection with him. Wallace redeveloped the house, creating a range of galleries on the first floor. 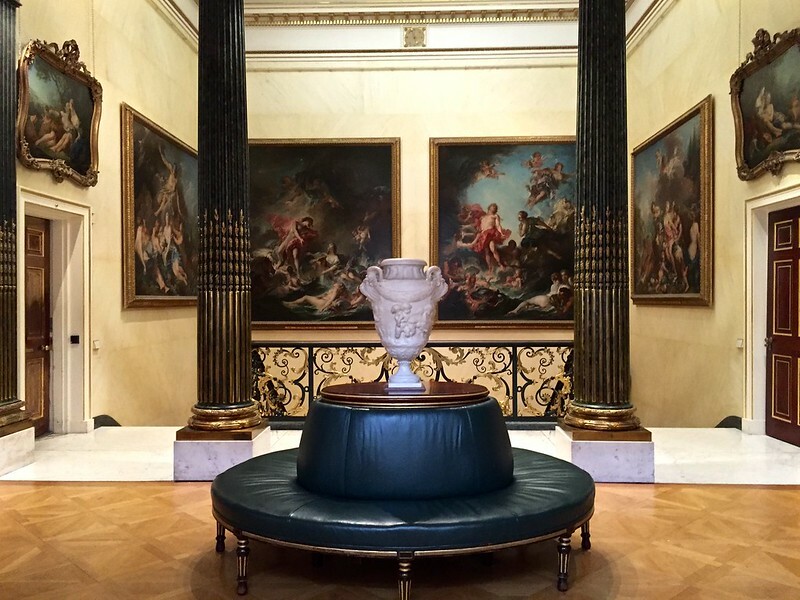 The Great Gallery, which art historian and critic Kenneth Clark called ‘the greatest picture gallery in Europe’, houses an outstanding collection of Old Master paintings. 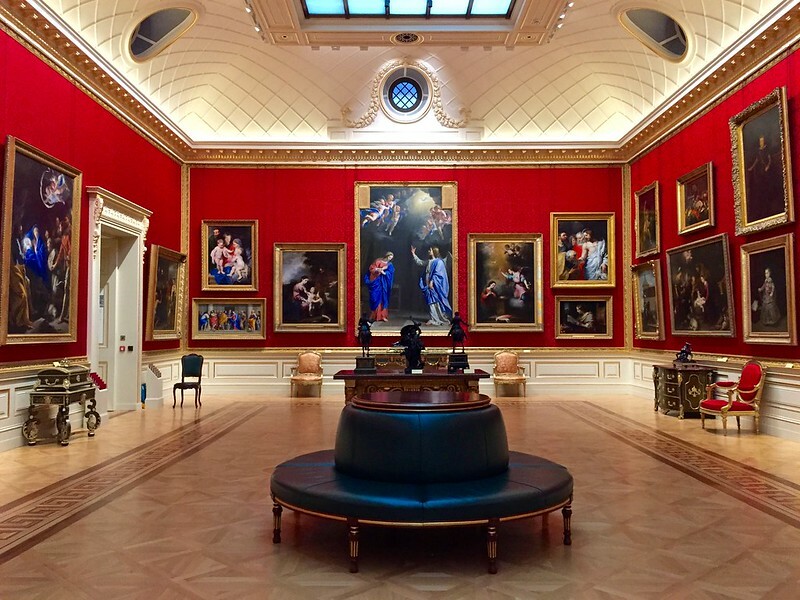 It reopened in 2014 after a two-year refurbishment which reconfigured the gallery ceiling, allowing the space to be flooded with natural daylight, as Wallace designed it in the 1870s. 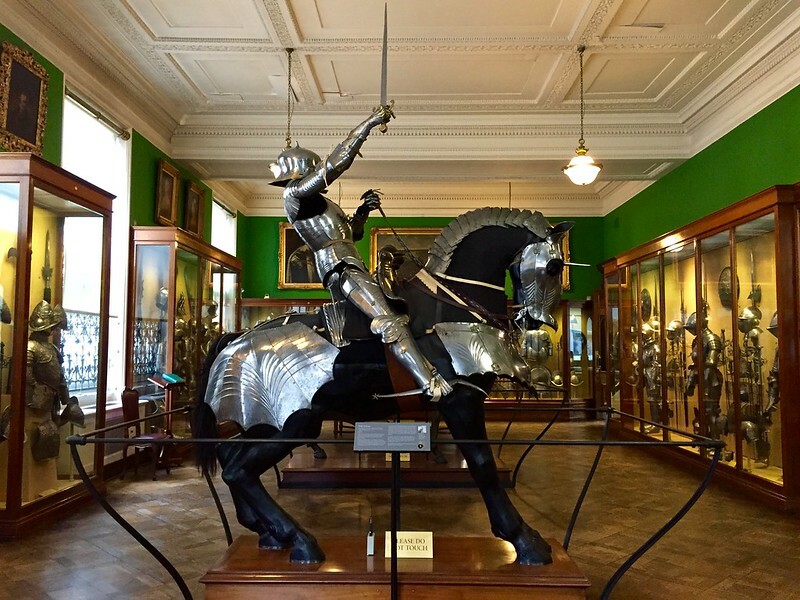 Don’t miss the European and Oriental Armoury in the basement, which contains nearly two and a half thousand objects dating from the tenth to the nineteenth century. 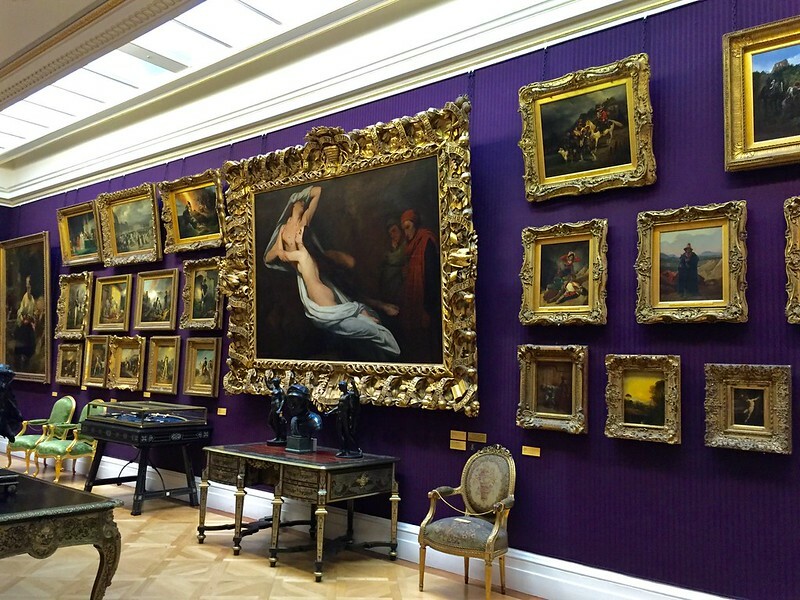 The Wallace Collection is open daily from 10 am to 5 pm, which is just as well as you’ll need to visit more than once to see all its riches. 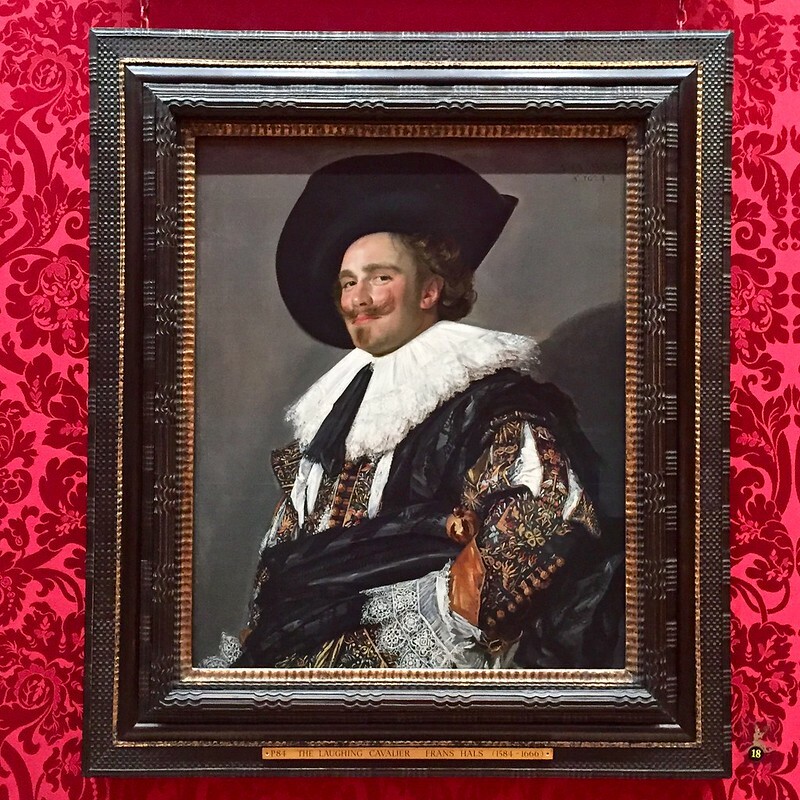 This entry was posted in Historic Houses, Painting and tagged armour, arts, eighteenth century, Frans Hals, french furniture, Laughing Cavalier, London, Manchester Square, Wallace Collection by Fran. Bookmark the permalink. It’s really worth a visit! We’ve already got this on our list of places to see on our next visit to London this week. Looking forwards to seeing the refurbished gallery! Thanks for reminding us. I’m sure you’ll have a great time!